Though the Pikmin series made its debut on the GameCube, it always felt more at home on the Wii. The style of gameplay that Pikmin employs just seems like a natural fit for pointer controls, so it was quite nice when the first two games were redone for the Wii. Perhaps in light of the recent announcement of Pikmin 3DS, Nintendo of America has opted to bring the first New Play Control! Pikmin to the Wii U eShop in this week's update. Though the original Pikmin may seem a bit simple by the standards that were set by its two sequels, it still provdes a satisfying experience and is well worth a look for anyone who missed out the first time around. What do you think? Will you be picking this up? Which Pikmin game was your favorite? Drop us a comment in the section below. I still have my 'Cube copy - which I haven't played yet. Doofus. If they release Pikmin 2, I'll probably nab it. Is this worth getting or does having Pikmin 3 make this game inferior? Missed out on this one when it was new. Actually got a Wii copy for cheap this month. @VR32F1END they all have individual story lines. Of course pikmin 3 is better but they are all classics worth playing. I will say one thing, the first is more challenging. @VR32F1END Personally, I thought Pikmin 3 did everything this game did, better. If I remember it right, Miyamoto even called 3 the 'Ultimate' version of Pikmin. Still, I'd rank this second, and it's worth a go. Seems cool I guess, but you know what would be better? I much prefer using the old play control for Pikmin. I need precision if I'm not going to lose any Pikmin. I would only consider it if the graphics were better than the original, but since this is a Wii game I don't think so. Thanks guys! Will consider it. This is great! I almost bought this game on ebay yesterday for $40. Will this be going for $20 eshop? Yes it'll be 20$ like all Wii VC games on the eShop unless discounted. Played through this one recently. Started out with this version but the motion controls infuriated me to the point of going back to the GC version which I finished a few days ago. Didn't Nintendo release 1 and 2 in Europe with a deal to buy one and get the other free? Reggie, why can't you show some love for poor folk like me? 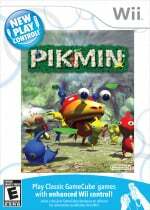 I always remember Pikmin on GC as the surprise hit. New IP, didn't seem like it would be as good as it ended up being. I actually liked the day limit, made it finite. I'm not the biggest fan of open world stuff. By the time I got a GameCube Pikmin was pretty hard to find, so I ended up borrowing it from a friend (which I later found out had been borrowed from another friend... after I'd returned it to the first friend, and he'd then lost it)... but I did get a new play control copy when it was released on the Wii. Can't really say whether I prefer the GC controls or the Wii controls as they both work pretty well, but I was a little awkward at first when I went back to play Pikmin 2 again on the GC. This version is so much better than the GameCube one. Nice! Although I played and loved the second and third games I never got around to playing the original in the series and after watching Peanut Butter Gamer play this one I am itching to give it a go myself! Talk about slow release. Now can we get NPC Chibi-Robo?! I cannot accept Zip Lash as their last attempt at Chibi-Robo. I love this game and I've played through it so many times. I have it on Cube and Wii. I prefer the Wii controls but I wish the Wii version had an option to use a GameCube controller for when I'm in the mood for that. I never understood why they ported and reworked games like this and Metroid Prime and removed control options completely. I was hoping this was a sign of Gamecube games on the eShop but guess presume since this is a Wii release they don't have a working Gamecube emulator. It's not the definitive version, that would be the Gamecube version. I've nothing against motion controls, except when they're shoe-horned into a game that was never designed for them. If you can get past that though, for me this is the best of the 3. The 30 day time limit added a level of tension which wasn't quite there in the other two. To be clear, I still love the other two and am still playing 3. Great series. Man, that looks like crap. Pikmin 3 has really spoiled me. Pikmin 1 is where the magic is, more so than the two follow-ups, which become frustrating to me. I prefer the original controls -it is like the gamecube controller was created to play this game just as the N64 controller was created to play mario64. @allav866 That was Pikmin 1 and Skyward Sword. @Angelic_Lapras_King Ah. Well, even so, it's kinda stupid we got no such deal. Been looking forward to this one coming to NA, now I hope we can get 2 as well! I wouldn't mind Pikmin 2 on Wii. 1 & 3 are amazing. I personally had the physical Wii disc for years now! Someday I'll have to try the Wii controls. The Gamecube controller always felt great on this game to me. I'm just now going through Pikmin 3 so I don't have a good feel for where it falls in the heirarchy. Pikmin 2 was definately better than Pikmin 1 to me. The depth of the games and the caves are a better experience to me. Multiplayer is very fun too for those that haven't checked it out. It took me about 4x longer to beat than Pikmin 1. The 30 day time limit is an interesting concept. I died my first playthrough as I didn't figure out how to beat the end guy. But after you've been through it once the 30 day limit provides no challenge. I rank them 3>1>2 but I absolutely love the series. 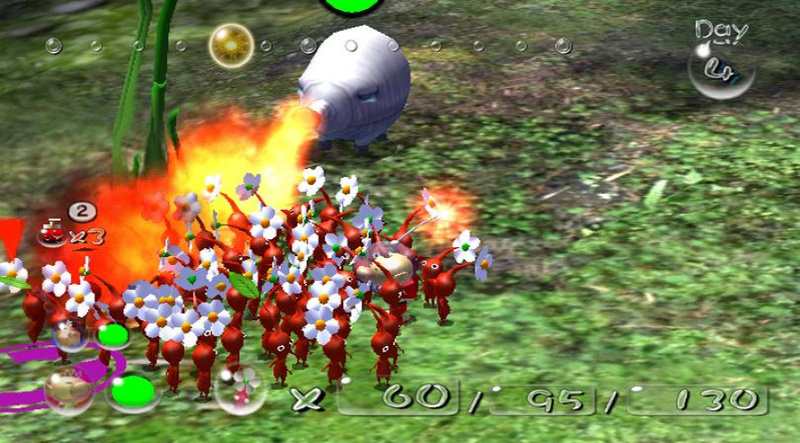 Which truly shocks me because typically I don't like RTS at all, but Pikmin is special. I will buy this eventually because I sold my Wii copy and regret it. However, I'm holding out hope for some discount when buying 1&2 together. The stylus controls spoiled me. I wish they'd create that option for 1 and 2, and create a waggle-free option for DKCR on Wii U.
Capcom Home Arcade Is A Plug-And-Play Arcade Stick, But Is The Emulation Legit?